Till I moved to the U.K I had no idea that card making is actually a hobby for hundreds (perhaps thousands) of people. There are many magazines here entirely devoted to this craft. There are many books too on the same. I was fascinated to discover them. Shru and Amit have patiently waited for their cards and I finally got down to making them. Here they are! They will be in your hands soon! Somehow I love handmade things! Getting a real card instead of an electronic one (which is also rare these days. Most people are happy just writing a hurried message on Facebook wall or sending scraps on Orkut ) truly brightens the day of the recipient. At least it does that to me. I love it when someone has taken the trouble to make that phone call or send a real card. I had decided that I'd be giving away a handmade card to the 300th follower of this blog. I kept watching as the numbers went up, wondering who the 300th would be. When it reached the magic figure I went to the blog and left a comment asking for his postal address. He was delighted. The 300th follower was Addy. Addy, here is your card! It is in the mail and will reach you soon! The third card that I made for Addy requires no drawing skill at all. Here are the things you will need and here is how to make it. 2.Foam sheets of different colours which you can get in any craft store or stores that sell Art supplies in India. 4. Hand made paper of different kinds. Keep looking for scraps of paper around you. (wedding invites, gift wraps, event invites) You will be surprised what different textures and what different kinds you can find. Even the smallest bit can be used for something. Collect them! 5. Fancy buttons: Again you can keep looking. Perhaps that Kurti which you have worn till it is threadbare has buttons that can be salvaged? Visit any craft store or a place where they sell embroidery threads and they are sure to have them. 6. A good glue. Fevicol is great :) I missed my fevicol while making this! I used something called Gel glue instead. Now--the most important step: Use your imagination!! 2. Next I measured the base of the light blue back ground and cut a sheet of green foam with the same length and one third its height. Then I used the craft knife to cut the 'bumps' on it. I stuck this right at the bottom. 3.I punched out various flowers using the flower punch. You can use pictures from magazines if you like. Or you can cut them by hand if you don't want to buy a punch. You can also vary the shapes of the flowers and use your own imagination. Perhaps you want to stick a car? Or a bike? Or a tree? I stuck the punched out flowers. I also stuck a cloud. 4.I cut out thin strips from yellow foam to make the rays of the sun and stuck them. 6. I stuck the buttons and made the tag hang from the button. I also used a little glue while making it hang so it wouldn't come off. Voila!! A handmade card is ready!! I love making cards! Now thinking of one reason to make card. oooooooooooooooooooh!! 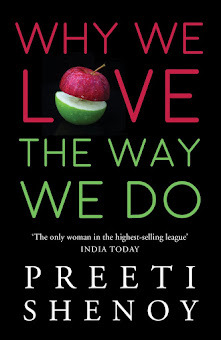 Loved this post, Preeti. I LOVE making cards too. I have a bunch of them made that is pending to be put up on my post. I still have the one you sent me on my refrigerator. It makes me smile every day and I prouldly boast about it to my friends and family. Wish I was the 300th...hehehe :-P...Great work, Preeti. I LOVED all of them!! I haven't made an appearance in this space in a long time now. My apologies. Went through a couple of your posts and I am SO SO happy to see your website. It is fabulous! Oh so professional looking and perfect. Your picture takes the cake :-) I love that website. loved ur book. is it corny to say that in some kinda wierd way Iam feeling very proud of u? Thank you. It was nice of u to share. 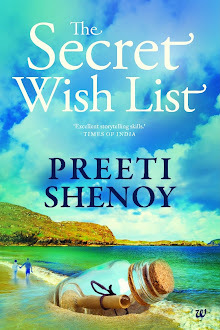 Loved the post Preethi.....u make it seem so easy. Tho I wdnt have the imagination my Nikita is interested in all crafty stuff. Will definitely note it down for her:-). Thanks!!!!!! awww its just so cute n most importantly so easy.. I will try this very very soon for my mum.. Remember making those during school days but lost that habit somewhere down the line.. thermocol or dried leaves/flower petals of different shapes are also a good alternative for those who can't paint..
Wow...Great tips...am sure gonna try makin a hand-made card soon!!! Dhanya: Oh yes--dried flowers also is a very good idea. Shru: oh yes--i am so sorry i linked your old one :P let me know when you get it. Have sent you the watercolour one. Life begins: heheh. I will announce it here :P :) thanks!! Tys: Thanks!Not corny at all! Thanks so much. honoured! Sucheta: thanks!! :) and thank you so much for loyally commenting on each post of mine too! Sulo badri: A blog is nothing without is readers. So i guess i'm showing appreciation. I wish i could send to all 300!! Gayu: Wow!! Feels great to know you have my card on your fridge! honoured!! :)Thanks for your wonderful comments here.